I think it's open to interpretation! But in my mind, the tar is responsible for all the life on Earth that didn't naturally evolve. 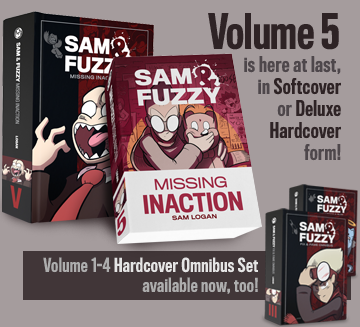 Or in other words... all the kinds of lifeforms in Sam and Fuzzy that don't exist in our real world. All the "inhumans" in the comic -- from talking cats to vampires to mysteriously re-animated Dinosaurs -- are twists on classic staples of real life human fiction and folklore. In the S&F universe, those products of human imagination were brought to life by the tar. Haha! I think now is the time to acknowledge it, yes! A couple of people have emailed me about this over the last few weeks. There was actually a time, way back in the earliest drafts of this whole saga, where the slang term the characters used for the mysterious black substance in the comic was going to be "ink", and it was going to be entirely liquid in appearance. But ultimately, I decided that was maybe a bit on the nose, so I called it tar and gave it an appearance that was a little more stringy than liquidy. I thought that would give it a "primordial ooze" quality that would feel more like a real in-universe thing, rather than just a super meta artist metaphor. But yes, ultimately, all the fictional life that I added to our universe in order to create the S&F universe was born from a big pit that, in the physical books we will one day print of this story, will be literally full of solid black ink. It's the engine of the creation in the comic, and also the engine of creation of the comic. It's a little indulgent, but so is writing a 3000+ page story about a cab driver and a teddy bear. I couldn't imagine doing it any other way! That was not intentional at all! But it is kind of a fun thought, isn't it? I do think the animalistic, unrestrained Hart is almost 100% Id, and obviously Candice is the closest thing that creature has got to a moral center or Super-ego. Brain as the Ego is probably where the metaphor is the least clean... I think he's only interested in societal norms and the needs of others in as much as they can be manipulated to get what he wants long term, rather than any concern about behaving in a socially acceptable way. Still, it does work kind of unexpectedly well! And it's funny that I also stacked them in that order, with Hart at the bottom and Brain at the top! 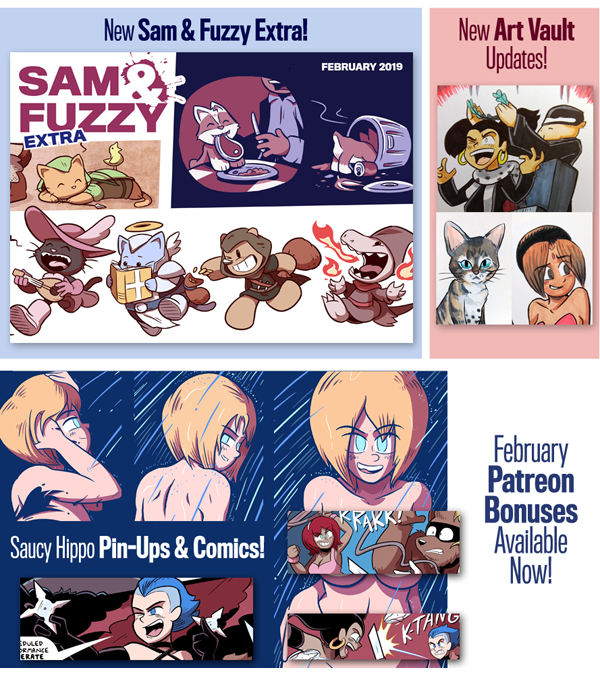 February Patreon Rewards Out Now! 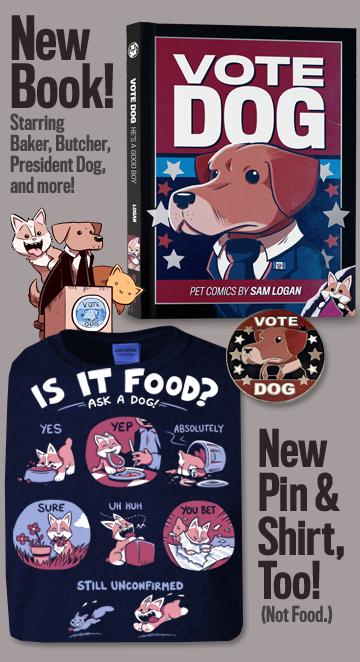 If you'd like to help support the comic and get some fun bonus stuff in the process... a new month of bonuses are available now for Patreon backers! This month's S&F Extra includes the making of a fun S&F critter D&D piece! And for Pin-Up fans, the Saucy Hippo vault now includes Jess Star's complete 8-part paint-and-water burlesque performance set. (There are 5 full burlesque sets in the vault now starring various characters.) But there's tons of other bonus art, comics and pin-ups, too. Head over the Patreon if you desire more info. We return on Friday with our next comic. See you then, everyone!